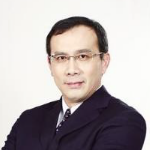 Chris Yao is Vice President, Head of Strategy and General Manager of International Business at JD Finance. He JD Finance in 2017, and is responsible for the development and promotion of JD Finance’s overseas business. Under his leadership, JD Finance has successfully expanded to Southeast Asia, with a presence in Thailand and Indonesia. Yao has nearly 30 years of experience in financial services, IT and e-commerce organizations, holding several key leadership roles. Prior to joining JD Finance, Yao was CEO of Experian Greater China, where he led the company’s acquisition of Sinotrust, China’s largest credit collection services company. Before joining Experian, Yao was CEO of PayPal Greater China and Vice President of PayPal Holdings, Inc. Prior to PayPal, Yao was President of North Asia at NCR, responsible for the development of NCR’s Financial System department in the North Asia region. Yao also worked at EDS for 14 years, serving as head of payment services for North Asia and Japan.